"Proclamation. Bekanntmachung. ... April 16th 1919. Herbert Plumer General, Commanding-in-Chief British Army of the Rhine". 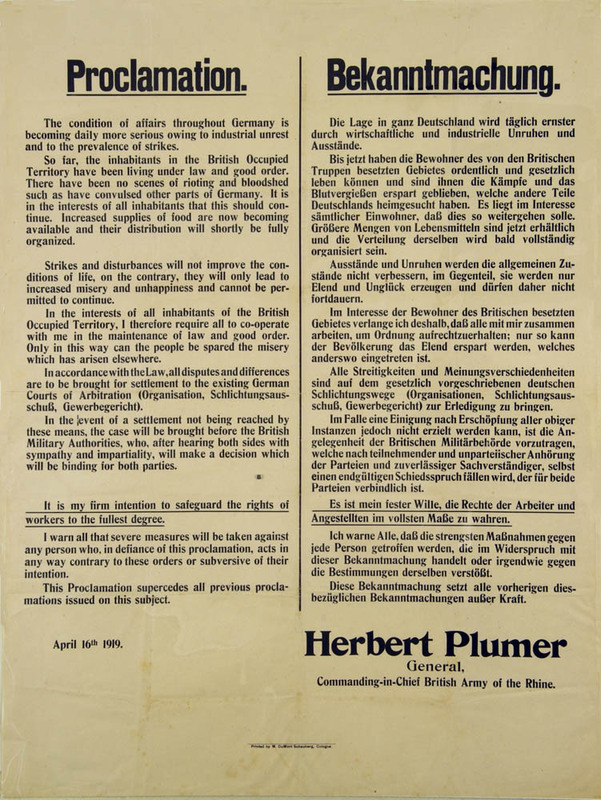 Text of poster is in English and German. Re unrest, strikes, and worker’s rights.